Is the recession holding back your career plans? In this free 30-minute podcast, experts Lee Kushner and Mike Murray offer infosec job advice that will help you survive and thrive in tough times. 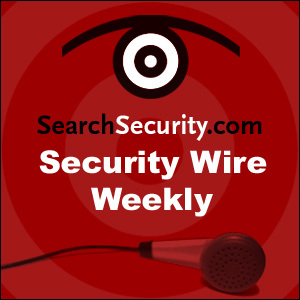 Listen to the top security experts and learn about the latest cybersecurity research. Whether it’s the spread of malware, the explosion of spam or hackers exploiting flaws to steal sensitive data, this podcast series aims to find the right ways to defend against ongoing attacks to your systems.